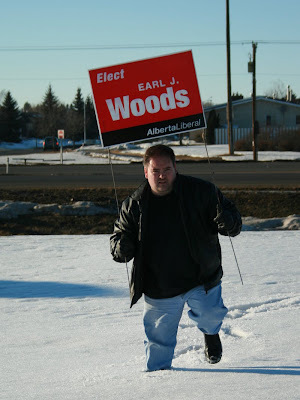 Spending numbers for the recent Alberta election have been released, and I had to laugh when I saw the results for Fort Saskatchewan-Vegreville: I was outspent by a factor of over 23 to 1. My campaign cost $5,500; Premier Stelmach spent $129,500 to defend his incumbency. I honestly had to laugh when I saw this. Over $129,000 for a safe seat? I had no idea that the Premier felt so threatened. 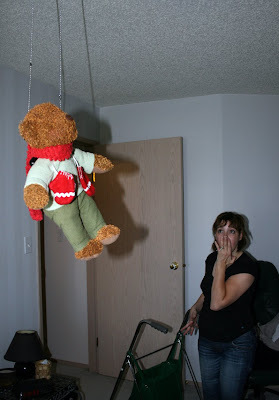 Picture if you will a portrait of a woman in shock...faced with a vision too terrible for the human mind to comprehend. A few feet of rope, a struggling victim, a crime captured only by moonlight, perpetrated by a cross-eyed madman. Now that victim's caretaker must confront that madman's insanity, at a place called Earl Creek Bridge - a destination nestled somewhere between the Outer Limits - and the Twilight Zone. 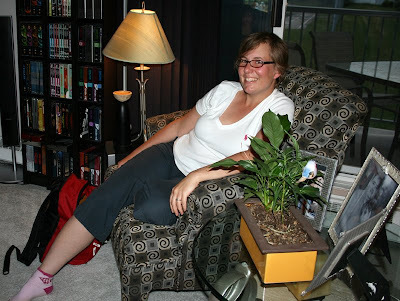 My old friend Andrea MacLeod was in town last week to visit friends and relatives. It's always great to see Andi - I can hardly believe we met back in 1990, almost 20 years ago. 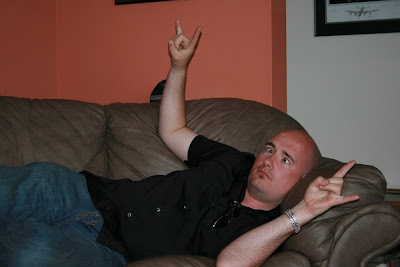 Andrea's sharp wit and brash nature always kept those of us in the U of A Star Trek Club entertained. (Andrea was a Scuba Club member; we managed to partially assimilate her.) My favourite Andrea line is probably "Was Grant up here to talk about himself some more?" Shortly after we met, Andrea moved to Germany for what was supposed to be an adventure of just a few months; she wound up staying for years, only recently moving to the UK after marrying her (scandalously younger) beau Greg. They're parents now, enjoying what seems to be an idyllic life in the English countryside. Have a safe trip back, Andi, and thanks for brightening up our day! 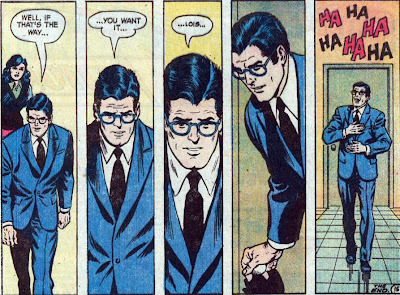 This series of panels has lived in my memory for decades. It's the denouement of a story from an early 1970s issue of Action Comics. I'm not sure what it is that grabs me. Part of it must be the pacing; slow, deliberate, highlighting Clark's seeming dejection. 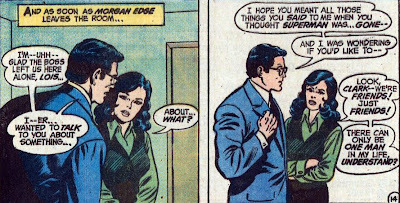 Then the reveal - Clark and the reader understand the irony of Lois' pronouncement; it's a secret that he's sharing with us. And perhaps it's a message of solace to the typical reader - young boys and teenagers. Maybe it doesn't matter if the girl of your dreams doesn't respond to you; you, after all, know what she's really missing. That's powerful comfort for an awkward age.